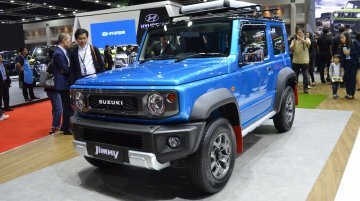 The fourth-gen Suzuki Jimny has been displayed at the ongoing Bangkok International Motor Show in its stock as well as in a mildly customised format. 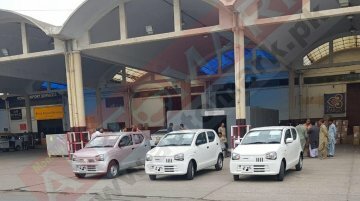 Local media reports that the Suzuki Jimny Sierra, ..
Japan is reportedly receiving an all-new Suzuki Alto this October, a Japanese report said earlier this week. Just months prior to that, the outgoing model will go on sale in Pakistan, as per.. 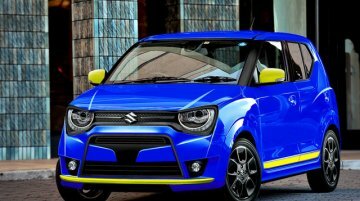 The Suzuki Alto entered its eighth generation in December 2014. 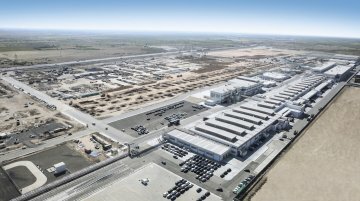 In October this year will move to its ninth generation, as per a report from Spyder7. 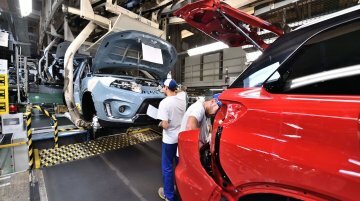 Suzuki Motor Gujarat Private Limited (SMG), a fully-owned subsidiary of Suzuki Motor Corporation, has commenced operations at its second plant in Gujarat. 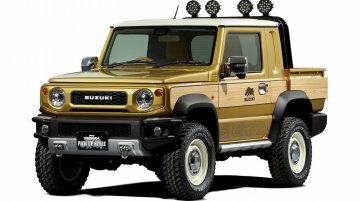 The new facility has started with the..
Suzuki has converted the all-new Jimny Sierra into a pickup for the 2019 Tokyo Auto Salon (11-13 January 2019). 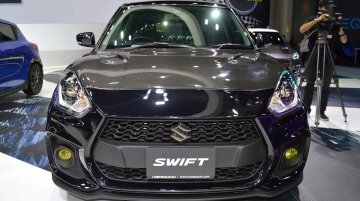 The new derivative, in addition to offering more versatility, has the nostalgic styling..
At the recently concluded Thai Motor Expo 2018, Suzuki Motor (Thailand) displayed the finalists of the 'Suzuki Swift Phenomenon' contest in a bid to select the most attention-grabbing custom Suzuki..
Suzuki Motor (Thailand) showcased the Swift Sport Auto Salon Version at the recently concluded Thai Motor Expo. 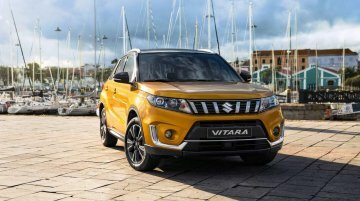 Other than displaying the tastefully modified version of the performance-focussed..
Gaadiwaadi reports that the next-gen Suzuki Vitara will make its debut at the Auto Expo 2020. 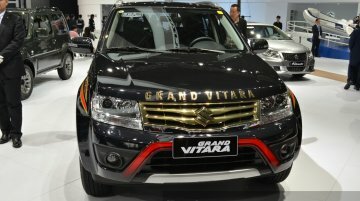 Moreover, it's being said that the new model would grow in dimensions and offer seven seats, which should..
Suzuki has announced a ‘Gear’ variant of its Spacia tall miniwagon exclusively distributed in the Japanese domestic market. 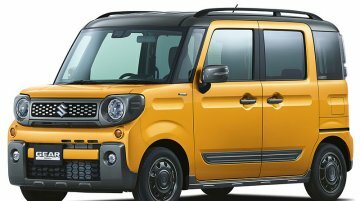 It will launch the addition to the kei car’s line-up later this month. 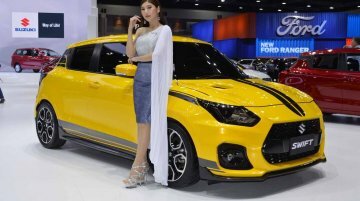 It is custom Swifts galore at the ongoing 2018 Thai Motor Expo. 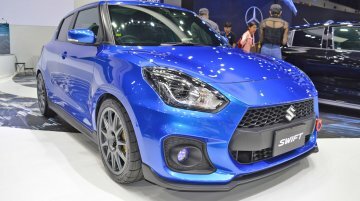 Other than showcasing an Auto Salon Version of the Swift Sport, Suzuki Motor (Thailand) has showcased the top 5 finalists of a contest..
Suzuki Motor (Thailand) has showcased the 'Auto Salon Version' of the Suzuki Swift Sport at the ongoing Thai Motor Expo. 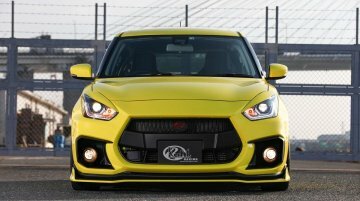 The special edition of the performance hatchback carries a handful of cosmetic.. 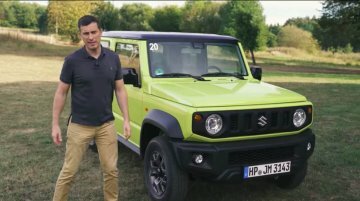 The all-new Suzuki Jimny Sierra has made its European debut at the 2018 Paris Motor Show. 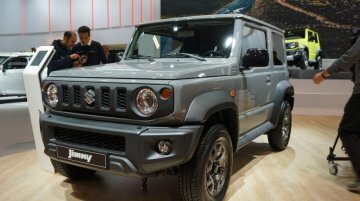 While two variants are available in Japan, global markets will only receive the Sierra with the 1.5L K15B..
Suzuki is gearing up to launch the latest generation Jimny in the European counties. 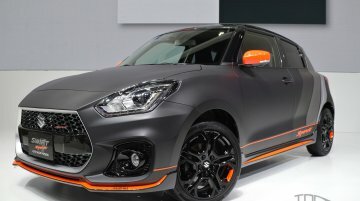 The new model will have a base price of €17,915 (INR 15,19,284.82) in Germany, which is one of the first markets..
With more power, a reworked chassis and a sportier styling package, the Suzuki Swift Sport drives and looks better than the vanilla Swift. 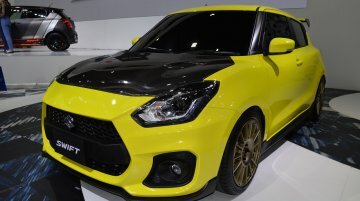 The Swift Sport recently came under the scalpel of Kuhl..